On 8 and 9 June 2017 the Academy of European Law (ERA), in co-operation with the Academic Forum of INSOL Europe hosted a conference in Trier on the latest developments of insolvency proceedings within the EU. 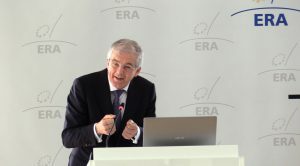 The conference aimed not only at giving an in-depth analysis of the Recast EIR (EU Regulation No 2015/848), but also at discussing post-Brexit implications for insolvency and restructuring as well as examining the new Commission proposal for a Directive on insolvency, restructuring and second chance, published late 2016. After opening and welcoming remarks by Dr. Angelika Fuchs (Head of Section – Private Law, ERA, Trier) and Prof. Michael Veder (Adviser at RESOR, Amsterdam; Professor of Insolvency Law at Radbound University Nijmegen; Chair of INSOL Europe Academic Forum), the first session of the conference dealt with recent CJEU case law on cross-border insolvency proceedings. Stefania Bariatti (Professor at the University of Milan; Of Counsel, Chiometi Studio Legale, Milan) presented the most important cases on the EIR decided in 2016 by the CJEU, as well as some cases still pending. As it was shown by Prof. Bariatti the CJEU decided on various open questions relating to Art. 3 EIR and the COMI concept in the case of Leonmobili (case C-353/15) in 2016. Another question regarding the interpretation of Art. 3 EIR is still pending before the CJEU in the case of Tünkers (C-641/16). The treatment of rights in rem, and the interpretation of Art. 5 EIR, was object of SCI Senior Home and Private Equity Insurance Group “SIA” (C-156/15). After the CJEU decided the first two cases dealing with Art. 13 EIR and detrimental acts in 2015 – Lutz (C-557/13) and Nike (C-310/14) – an Italian case (Vynils Italia SpA, C-54/16) concerning Art. 13 is still pending before the CJEU. Other cross-border insolvency issues that went to the CJEU in 2016 concerned the Dutch prepack proceeding (Federatie Netherlandse Vakvereiniging, C-126/16) and the interplay between the Regulation No 800/2008 and the EIR (Nerea SpA/Regione Marche, C-245/16). 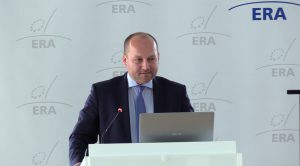 Subsequently, Michal Barlowski (Senior Counsel, Wardynsky & Partners, Warsaw) gave an introduction about the new EIR focusing on its scope of application especially regarding pre-insolvency and hybrid proceedings. Mr. Barlowski identified the following six changes in the Recast Regulation as most important: 1.) the revisited and expanded COMI concept, 2.) the expansion of the scope of applicability, 3.) the synchronization (coordination) of main and secondary proceedings, 4.) the introduction of group coordination proceedings, 5.) the extension of authority and duties of IP’s and 6.) the ease of access to insolvency registers. Analyzing the positive and negative prerequisites of the scope of applicability as laid down in Art. 1 EIR Recast, Barlowski emphasized that it might be problematic to include certain pre-insolvency or hybrid proceedings under the scope of the EIR Recast. This is due to the fact, that Art. 1 EIR Recast requires “public“ proceedings, although especially pre-insolvency proceedings more commonly seek a solution of the debtors situation rather in “private“. Furthermore, Barlowski pointed out that the widened scope of application, the synchronisation of main and secondary proceedings as well as of proceedings within a group, the rising role of IPs and the higher availability of legal instruments lead to greater complexity of processes and thereby create new opportunities as well as challenges. Barlowski concluded with stating that the new EIR is characterized by “complexity vs. simplicity”. Gabriel Moss QC (Barrister, 3-4 South Square, Gray’s Inn, London; Visiting Professor at Oxford University) dealt with the definition of COMI and the “Head Office Functions“ test, as well as COMI shifts. There are now express provisions confirming the previous case law such as Interedil (Case C-396/09), although the concept of COMI remains the same under the Recast Regulation. Therefore, the “Head Office Function” test is still valid for determining the COMI. In regards to COMI shifting the EIR Recast now contains several new provisions dealing with fraudulent or abusive moves of COMI or with “bad“ forum shopping. Whereas “good” forum shopping, usually done by a legal person, tends to benefit the general body of creditors, “bad“ forum shopping, usually done by a natural person, tends to escape the creditors or generally disadvantages them. Especially Art. 3 (1) EIR Recast now states that the registered office presumption will be disapplied, if the debtor’s registered office is moved to another Member State within three months prior to the request for opening of proceedings, respectively six months if the debtor is an individual and moves his or her habitual residence. Furthermore, Art. 4 EIR Recast now requires a court considering a request to open insolvency proceedings to examine whether it has jurisdiction under Art. 3 EIR Recast whereas Art. 5 EIR Recast gives any creditor the right to challenge the opening of main proceedings on the grounds of international jurisdiction. However, the new presumptions designed to prevent “bad” forum shopping may not be effective as cases are usually decided based on facts not presumptions. Moss concludes that both, the court’s duty to check jurisdiction and the ability of creditors to challenge an opening of a main proceeding, are powerful tools against fraudulent COMI shifts. In Moss’ view the codification of the case law relating to COMI is welcome and useful, especially in jurisdiction, that rely rather on the relevant statute than case law. Reinhard Dammann (Avocat à la Cour, Partner, Clifford Chance Europe LLP, Paris) analysed the coordination of main and secondary proceedings as well as tools to prevent secondary proceedings. Dammann started out with assessing that secondary proceedings are not weakened in the Regulation Recast, but rather strengthened. On the one hand, the Member States understand secondary proceedings as a defence against the universal main proceedings, on the other hand secondary proceedings might prove useful in ensuring an effective administration, especially in cases of a complicated estate or an intended eradication of the protection of rights in rem through Art. 8 EIR Recast. But, the EIR Recast includes two new tools to prevent secondary proceedings: the giving of an undertaking pursuant to Art. 36 EIR Recast and a stay of the opening of secondary proceedings pursuant to Art. 38 III EIR Recast. However, Dammann heavily criticized both tools. Although the Regulation of the undertaking in Art. 36 EIR recast may be used to facilitate a sale of the assets in a combined set allowing for going concern of the insolvent company, it shows several inconsistencies and flaws: it might be difficult to identify the “known” local creditors in terms of Art. 36 EIR Recast; Art. 36 EIR Recast is discriminating the non-local creditors; pursuant to Art. 36 (5) EIR Recast the rules on majority and voting that apply to the adoption of restructuring plans shall also apply to the approval of the undertaking, whereas the matter of subject is not a restructuring, but an asset sale, and lastly the relationship between the undertaking and Art. 8 EIR Recast is unclear. Therefore, if an asset sale is intended in the main proceeding, it should be more effective to execute an asset sale in the main proceeding and subsequently open secondary proceedings and distribute the proceeds in the single proceedings. If a debt restructuring is intended in the main proceeding, the opening of a secondary proceeding, as well as an undertaking would frustrate the debt restructuring. In such cases a stay of the opening of secondary proceedings pursuant to Art. 38 (3) EIR Recast might prove helpful. However, the scope of applicability of Art. 38 (3) EIR Recast is unclear as it is specifically designed after the Spanish pre-insolvency proceeding pursuant to Art. 5bis Ley Concursal. 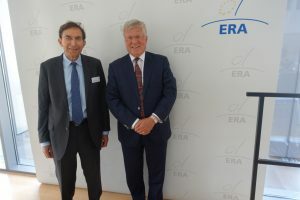 Bob Wessels (Independent Legal Counsel, Adviser and Arbitrator; Professor emeritus at University of Leiden) continued with practical concerns surrounding the publication of insolvency proceedings. Whereas the publicity of proceedings and the lodging of claims was one of the major shortcomings of the EIR, the Regulation Recast now requires the Member States to publish all relevant court decisions in cross-border insolvency cases in a publicly accessible electronic register and provides for the interconnection of national insolvency registers, as well as introduces standard forms for the lodging of claims. Wessels then gave a detailed analysis of Art. 24 to 27 concerning the establishment of insolvency registers and the interconnection between insolvency registers. Both Art. 24 (1) EIR Recast (establishment of insolvency registers) as well as Art. 25 (1) EIR Recast (interconnection between insolvency registers) will not apply from 26 June 2017, but from June 2018 and 26 June 2019. The wording of recital 76 of the EIR Recast, as well as the requirements of Art. 24 (2) EIR Recast seem to indicate that only proceedings found in Annex A will be taken into the register that have extra-territorial effect. Whereas Art. 24 (2) EIR Recast provides for mandatory information, Member states are not precluded to include additional information (see Art. 24 (3) EIR Recast). The information that has to be taken into the registers differs depending on whether the debtor is an individual exercising an independent business or a professional activity, a legal person, or a consumer (Art. 24 (4) EIR Recast intends to protect the privacy of consumers). Pursuant to Art. 24 (5) EIR Recast, the publication of information in the registers has only the legal effects laid down in Art. 55 (6) EIR Recast and in national law. However, it is unclear whether this applies only to the mandatory information or to optional information as well. After all the access to EU-wide insolvency registers through the European e-Justice Portal should improve the efficiency and effectiveness of cross-border insolvency proceedings with benefits such as a quicker, real-time access to information crucial for business decisions, the free availability of key insolvency information and clear explanations on the insolvency terminology and the systems of the different Member States facilitating a better understanding of the content. As a last point Wessels presented the requirements for lodging claims as laid down in Art. 53 to 55 EIR Recast. After lunch Alexander Bornemann (Head of Division, Federal Ministry of Justice and Consumer Protection, Berlin) scrutinized the treatment of corporate groups under the EIR Recast. The Recast’s approach to corporate groups rests on two pillars. The first pillar may be described as the centralization of venue, in cases where there is a common COMI or an undertaking pursuant to Art. 36 EIR Recast is given. The centralization of venue avoids costs, delays and frictions associated with coordination of proceedings across borders. The second pillar may be described as the coordination of decentralized main proceedings, either through “centralized” coordination with coordination proceedings pursuant to Art. 61 to 77, or through “decentralized” coordination with cooperation and coordination between courts and IPs pursuant to Art. 56 to 59 or participation and invention rights pursuant to Art. 60. However, the EIR Recast still lacks the next logical step in the treatment of corporate groups, namely the consolidation of proceedings. The new group coordination proceeding is inspired by the German Koordinationsverfahren as laid down in §§ 269d et seqq. of the German Insolvency Code and provides a procedural framework for the centralization of some of the functions of coordination such as the development of a plan, recommendations and mediation. However, the coordinated proceedings remain autonomous and thus combines centralized coordination with decentralized implementation. Ultimately the new coordination proceeding provokes significant difficulties in the practical administration of the proceeding and the complex system of procedural requirements and safeguards may offset the aspired advantages. The new regime should therefore be viewed as a field trial and a first modest step towards a “real” framework for groups. New perspectives may be opened for private autonomous (synthetic) replications by way of agreements and protocols as laid down in Art. 56 (2) EIR Recast. Other further developments will be based upon the experiences made or not made under the EIR Recast (see evaluation clause Art. 90 (2) EIR Recast). During the next panel Nicolaes Tollenaar (RESOR, Amsterdam) presented a case study dealing with the restructuring of a group of companies based on real facts. The concerned group consisted of a holding company incorporated in the Netherlands, where it has its COMI as well, and two subsidiaries one based in Delaware (USA) and one based in Germany. The financial debt is mainly located at the level of the holding company, but the subsidiaries are guarantors of such debt and some obligations are secured by pledges over the shares or participations in those subsidiaries. Due to financial difficulties suffered by the group, the Dutch Company obtained a court moratorium in the Netherlands in order to be able to conduct negotiations with its creditors. However, the Dutch Company has a significant portion of its assets outside the Netherlands. The conference audience then had to discuss the cross-border effects of the Dutch moratorium. The case was a perfect example of how easily cross-border insolvency issues might get very complicated, but with the help of experts such as Michael Veder, Gabriel Moss, Jenny Clift, Bob Wessels and many other present, probably no case is too complicated. However, the lesson to be learned was that the scope of applicability of the EIR Recast regarding pre-insolvency or hybrid proceedings might turn out to be problematic, due to its requirements as laid down in Art. 1 EIR Recast. Additionally, the case showed that the protection of rights in rem through Art. 8 EIR Recast and the new provisions in Art. 2 EIR Recast about the location of assets might lead to difficulties in cases where assets are situated in another Member State and the debtor does not possess an establishment in this Member State and therefore the opening of a secondary proceeding is not possible. Jenny Clift (Senior Legal Officer, International Trade Law Division, UNCITRAL Secretariat, Vienna) reported on harmonisation trends on security rights and insolvency law at an international level. Topics considered for harmonization efforts, include both current and future work and national law reform efforts on insolvency and secured transactions. Currently, work is being undertaken on a model law on recognition and enforcement of insolvency-related judgments, and it is hoped that it can be finalised for adoption, together with a guide to enactment, at the 2018 Commission session. UNCITRAL is as well working on a set of draft legislative provisions on facilitating the cross-border insolvency of enterprise groups. However, areas still requiring further discussion include the use of “synthetic” proceedings to minimise the commencement of both main and non-main proceedings, the powers of the group representative appointed in a planning proceeding to coordinate the development of a group insolvency solution and the approval of a group insolvency solution. Furthermore, part four of Legislative Guide will be extended to include obligations of directors of enterprise group companies in the period approaching insolvency. Moreover, the Commission has agreed that work should be undertaken on the insolvency of micro, small and medium-sized enterprises (MSMEs). Possible future topics include choice of law in insolvency, a review of the Legislative Guide in regard to insolvency treatment of financial contracts and netting, the treatment of intellectual property contracts in cross-border insolvency cases, the use of arbitration in cross-border insolvency cases and sovereign insolvency. On a national level, there are now 43 states that enacted the UNCITRAL Model Law on Cross-Border Insolvency. Topics being considered for harmonization efforts regarding secured transactions include the Guide to Enactment of the UNCITRAL Model Law on Secured Transactions. Possible future topics entail contractual issues, transactional and regulatory issues, finance for MSMEs, warehouse receipt financing, intellectual property licensing, as well as alternative dispute resolution in secured transactions. On a national level, there has been significant activity in secured transactions law reform and in the establishment of collateral registries, as well as interest in the enactment of the Model Law on Secured Transactions. The conference day ended with a “Brexit Dialogue” between Gabriel Moss and Bob Wessels, discussing potential effects of Brexit on European cross-border insolvency law and possible solutions to caused problems. 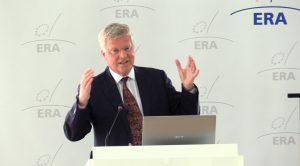 Moss argued that from a rational point of view the EU Regulations and Directives are a “win-win” for all parties, and should therefore be kept. However, some EU politicians refuse “cherry-picking” and consider that the UK must be seen worst off outside the EU. Currently, the UK intends a “Great Reform Bill” which will keep all EU law as domestic UK law. Nevertheless, this will only be temporary and subject to change and the Regulations and Directives then cannot be applied on a unilateral basis, so reciprocity will no longer exist, unless otherwise agreed between the UK and the EU. If the UK loses the EU legislation it may fall back to s. 426 UK Insolvency Act 1986, the Model Law and the Common Law. However, the 27 Member States do not have s. 426 UK Insolvency Act 1986 or common law (except Ireland) and only some have adopted the Model Law. This would result in a “win” for the EU Member States and a “lose” for the UK. Wessels (see also) then proposed three solutions including only the Member States and three solutions including the EU. One could be a revival of existing treaties such as listed in Art. 85 EIR Recast. Another option is that the UK is treated as a third country making it subject to the national legislation of each Member State. However, the Member States then might enact the Model Law. Last, but not least one could think about reviving the Istanbul Convention. As an EU oriented solution, one could consider a transitional rule similar to Art. 84 (2) EIR Recast, i.e. that the EIR Recast continues to apply up to certain date in the future. Another solution could be found in a new multiparty initiative by academics and practitioners. It also seems possible to strengthen the role of courts, relying much stronger on court-to-court cooperation and communication. The first conference day ended with a guided tour of the Karl-Marx-Haus and a joint dinner at the “Weinhaus”. The second conference day dealt with the new Commission proposal for a Directive on insolvency, restructuring and second chance and pre-insolvency restructuring in general. 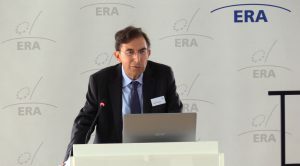 Alexander Stein (Head of Unit, Civil Justice Policy, DG Justice and Consumers, European Commission, Brussels) began with a presentation of the new Commission proposal for a Directive on insolvency, restructuring and second chance. Its main objectives are reducing the barriers for cross-border investment, increasing investment and job opportunities in the internal market (Capital Markets Union Action Plan), decreasing the cost and improving the opportunities for honest entrepreneurs to be given a fresh start (Single Market Strategy) and supporting efforts to reduce future levels of non-performing loans (ECOFIN Council Conclusions of July 2016). The proposal provides for the harmonisation of preventive restructuring procedures and contains seven main elements to ensure efficient and fast proceedings with low cost: Early access to the procedure, strong position of the debtor, a stay of individual enforcement actions, the adoption of restructuring plans, encouraging new financing and interim financing, court involvement and rights of shareholders. Other efficiency elements include early warning tools. The proposal touches upon discharge periods for over-indebted entrepreneurs, the training and specialisation of judges and IPs, the appointment, remuneration and supervision of IPs and the digitalisation of procedures. It also contains provisions about data collection to allow a better assessment of how Member States are implementing the directive, how it is performing, and how it would need to be improved in the future. Stein reported that on 8 June the Council already discussed the role of courts and the debtor-in-possession principle. The next step is a hearing on 20 June before the European Parliament. Points that will be discussed once more include the role of the IP and the court involvement. However, the Commission plays a constructive role and intends a quick adoption of the proposal. Nicolaes Tollenaar then took over again and presented the procedural steps of preventive restructuring proceedings with a view to the new Commission proposal. Although, Tollenaar welcomed the proposal as such, he has some significant critique as well. Firstly, the proposal only provides the debtor with the right to propose a restructuring plan. Thus, the debtor might use the right to propose a plan in an abusive manner. Secondly, it is unclear what exactly is meant with a minimum harmonisation in regard to pre-insolvency proceeding: May Member States grant creditors the right to propose a plan as well? Thirdly, the “likelihood of insolvency” is sufficient to open a pre-insolvency proceeding and use a cross-class cram down to adopt a restructuring plan. However, it is questionable if the “likelihood of insolvency” justifies a cross-class cram down. Tollenaar therefore recommends giving creditors the right to propose a plan and to distinguish between two phases: The “likelihood of insolvency”, where only the debtor has the right to propose a plan and no cram down is available and “Insolvency or inevitable insolvency”, where creditors have the right to propose a plan and cram down is available. Furthermore, he recommends giving a wide right to seek early (non-public) court directions on issues such as jurisdiction, admittance of claims or permissible content of the plan and confirmation criteria and to established specialized courts. Next, Florian Bruder (Rechtsanwalt, Counsel, DLA Piper, Munich) spoke about creditor’s rights and the protection of new and interim finance in the restructuring process in the proposal. From a creditor’s point of view the proposal provides a framework procedure allowing the debtor to pursue a quasi-consensual (financial) restructuring, addressing creditor hold outs and shareholder opposition as the most practical issues. Creditors and the debtor may prepare and lead the restructuring process supported by new finance. However, there is a substantial risk of deterioration of the value of the business and therefore recovery for the creditors due to the stay. The suspension of creditor’s rights to file for insolvency and to accelerate, terminate or in any other way modify executory contracts to the detriment of the debtor severely restricts the creditor’s rights to control the procedure. Therefore, adequate protection is crucial. Eventually safeguards for the creditors mostly rely on active intervention of the creditors and are available quite late. Hence, the adequate protection of the creditor’s interests depends even more on the access to commercially-minded and experienced courts. Michael Barlowski then focused on the interplay between the proposed Directive and the Recast Insolvency Regulation. Both instruments will overlap regarding cross-border aspects of restructuring proceedings. Practical problems which need to be further examined include rights in rem (1), territorial proceedings (2) and the effectiveness in third-countries (3): 1.) While Art. 6 (2) of the proposal provides for a stay of individual enforcement actions in respect of secured creditors as well, Art. 8 (1) EIR Recast exempts the rights in rem of creditors from the effects of the opening of proceedings, resulting in a paradox situation. 2.) Admittedly, Art. 7 of the proposal provides for a general stay covering all creditors that shall prevent the opening of insolvency procedures at the request of one or more creditors, however this covers only “principle” proceedings, but not “territorial proceedings”, which therefore may frustrate the negotiations between the creditors and the debtor. Art. 38 (3) EIR Recast is no help either, as its scope of applicability is unclear. 3.) If the debtor has assets outside the EU, it may be essential to ensure that the effects of the stay and the restructuring plan cover those assets as well. However, there is no EU agreement, and therefore the domestic law of the concerned third country applies. Finally, a round table consisting of Michal Barlowski, Florian Bruder, Andreas Stein, Michael Veder and Alexander Bornemann discussed the question of how the insolvency landscape in the EU is changing. It was agreed upon that the Commission proposal tries to strike a balance between cost-efficiency and the protection of the involved parties’ interests. The proposal is flexible as well, and covers not only one proceeding but a variety of different proceedings. It was proposed that the Member States should provide for different types of proceedings for different situations, i.e. proceedings for small and medium enterprises and proceedings for bigger companies, similar to the UK regime of the Company Voluntary Arrangement and the Scheme of Arrangement. The event ended with warm words of thanks and respect to the organizers and speakers for an outstanding conference.